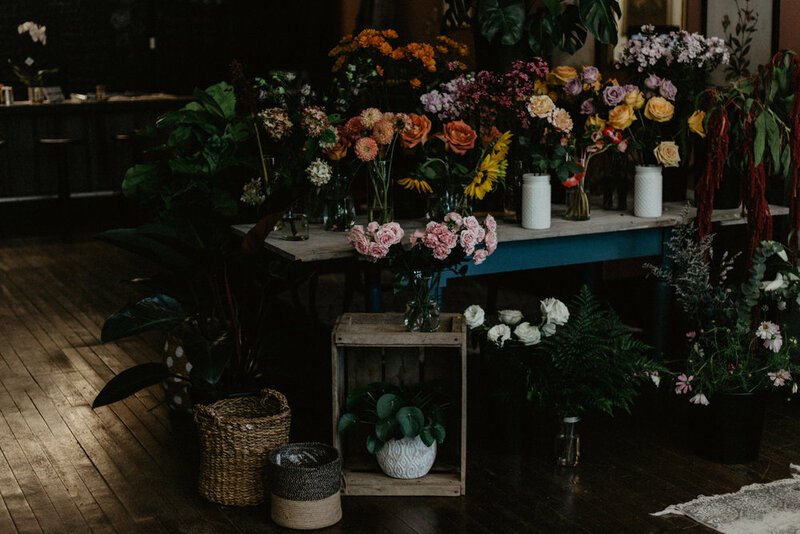 New Index — The Little Shed Flower Co. Weddings and events are probably my favourite aspect of the floral design industry. I love the fresh floral availability, the opportunity to design more large scale installations, and obviously hand delivering our gorgeous, signature huge bridal bouquets. meeting with our clients and choosing the perfect styling and decor elements to enhance our floral designs is always a treat, and i love it when we can completely transform a space for our couples. We will work together to design a unique and beautiful aesthetic for your and your guests, that is authentic to you, while providing professional suggestions and direction for all elements of your design. I know that your event is unique, and I love and respect that! So, in the best interest of maintaining a standard of excellence and integrity for both your event and my growing portfolio, I've implemented a booking minimum of $3500.00. This minimum is enforced during the high season, (May - October) and ensures that you receive a guaranteed level of service and design creativity that you can count on. I welcome smaller events and celebrations during all months, and have a special place in my heart for elopements. I love learning, and I love teaching! That’s why we offer a selection of seasonally inspired floral design workshops, for every skill level. We provide all the tools, materials, fresh floral product and instruction for you to design something gorgeous to take home with you. You’ll enjoy music, treats, and probably a glass of whatever’s delicious, alongside other flower loving people. You’ll learn design elements like line, proportion, movement, texture and colour palette. We also offer 1:1 mentorships for those interested in learning in a more individualized atmosphere. I’ll personally communicate with you prior to your booking, to build a customized curriculum that will help you to build the design skills that are important to you as a designer. Professional photography is available for booking during your session(s). We offer fresh floral delivery locally 7 days a week, and out of town delivery Wednesday-Sunday. Our signature fresh floral bouquets come wrapped in our alternative matte black paper, kraft tissue and cotton black and white striped ribbon, starting at $50.00 + hst and delivery. Fresh cut flower bouquets are also available for pick up during retail hours. We also offer gorgeous and artfully designed vessel arrangements for delivery or pick up at our retail location. Packaged in black recyclable cardboard and kraft tissue, they are show stopping. Starting at $65.00 + hst and delivery. You can expect seasonal, locally grown blooms, ethically and responsibly foraged elements and both interesting and non-traditional colour palettes. We love the dark and moody and enjoy utilizing movement and dimension in our designs.